Kur Campingpark is a campsite with 250 touring pitches and 70 year round pitches. 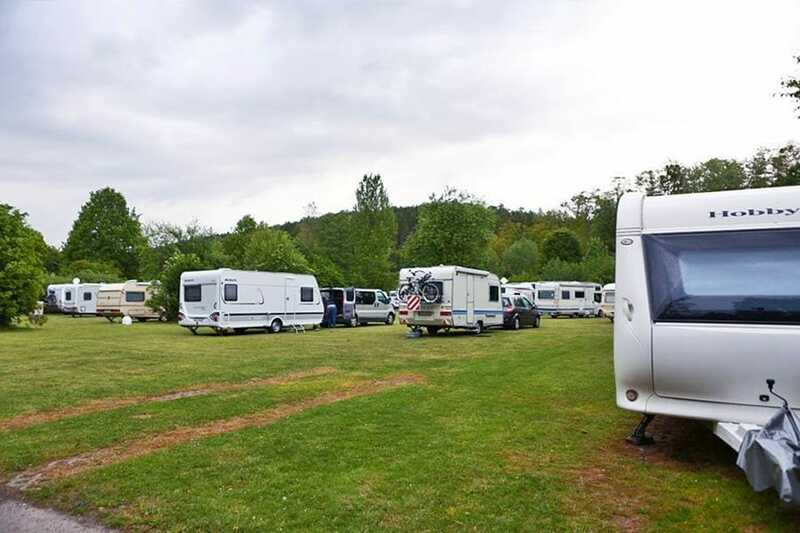 During low season, between 01-01-2019 - 30-06-2019 and 18-08-2019 - 31-12-2019, the nightly rate is €18,- at one of the 250 touring pitches at Kur Campingpark in Bad Gandersheim (Lower Saxony). At this campsite you can not only use your CampingCard ACSI for inexpensive camping, you can also use your ACSI Club ID (as an alternative ID). Well-maintained, even grounds with marked-out pitches for 4 to 8 units. A romantic brook separates the site into two parts. Via the bordering spa you will be in the idyllic centre of Bad Gandersheim in 5 minutes. Would you like to book Kur Campingpark or request more information? You can do both using the information below. BAB 7 Kassel-Hannover, exit 67 Seesen. Follow the signs to Bad Gandersheim for 9 km, turn right on B64 before the town. CampingCard ACSI will send your information request to "Kur Campingpark".